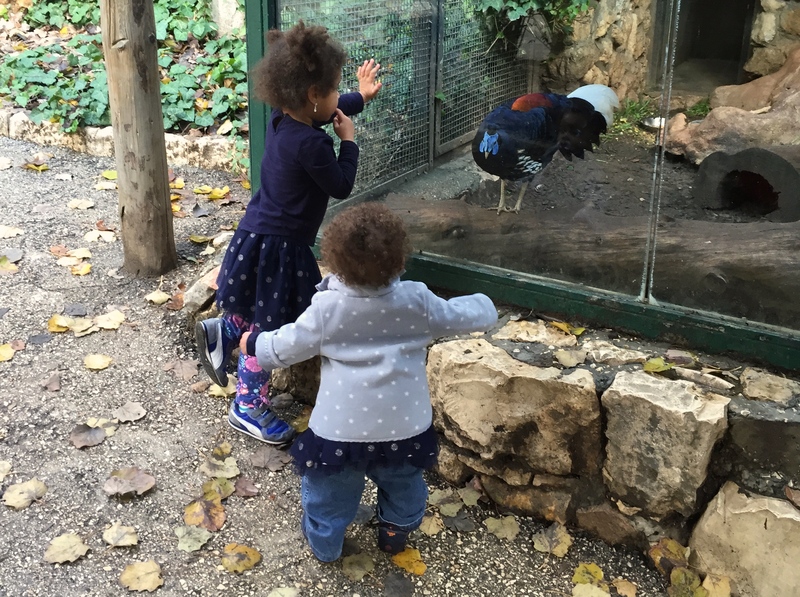 So on Sunday morning, we got up, picked up the house, packed a lunch, and dragged the kids to Jerusalem’s zoo. It was lovely. 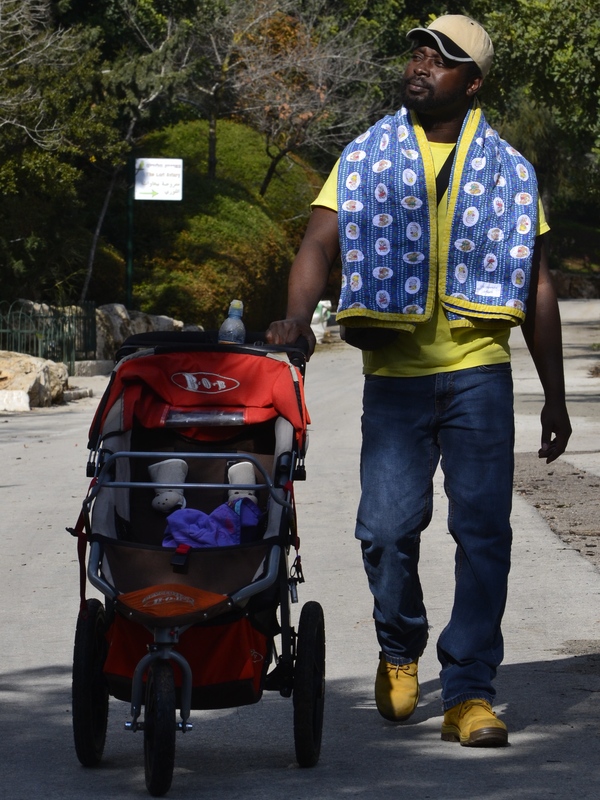 The work week in Jerusalem for everyone but Consulate folks is Sunday – Thursday, so the zoo was deserted, except for the one other Consulate family we happily ran into. That family has several young girls, one of whom Jasmine’s age. Guess who were thrilled to make new friends? 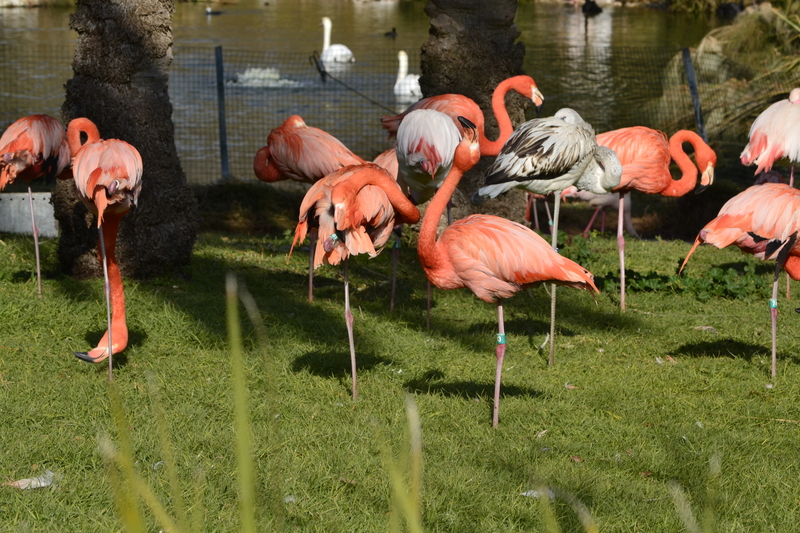 In addition to regular entry, the zoo offers a membership. We did the math while we were waiting in line, and we only have to go three more times this year to cover the cost. 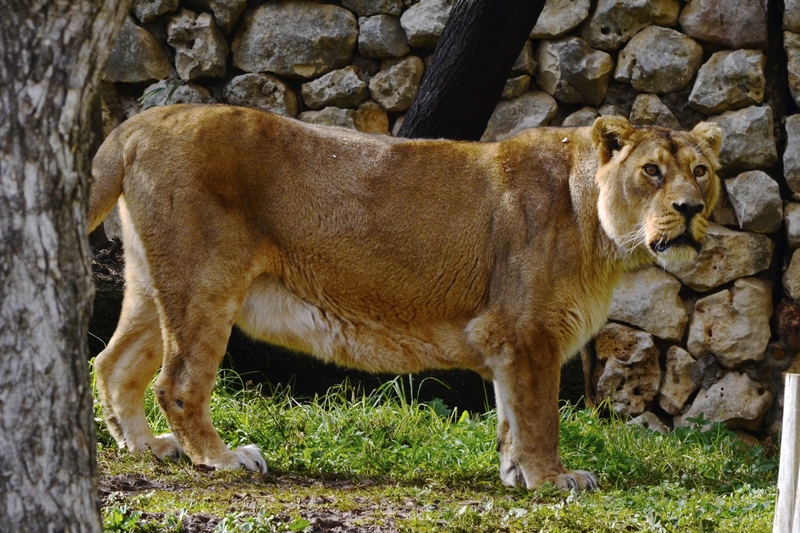 That’s a no brainer, and voilà, the Sondjos are the Jerusalem Biblical Zoo’s newest members. Once we arrived (pushing a stroller one mile up and down a mountain is a pretty exhausting walk), we let the kids out of the stroller so that they could run around and work off some excess energy. 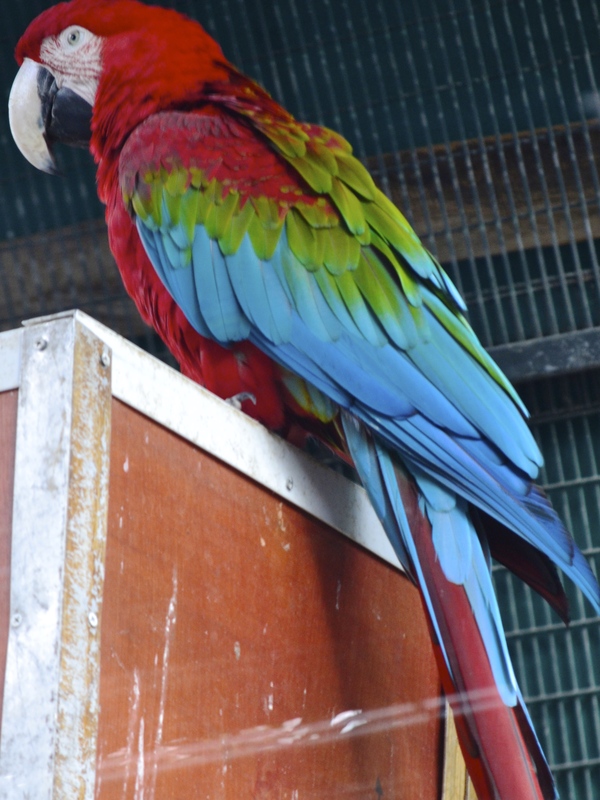 The kids loved all of the animals, but the birds were the most fascinating. Grace started squawking back at them when they squawked at her. It was hilarious. 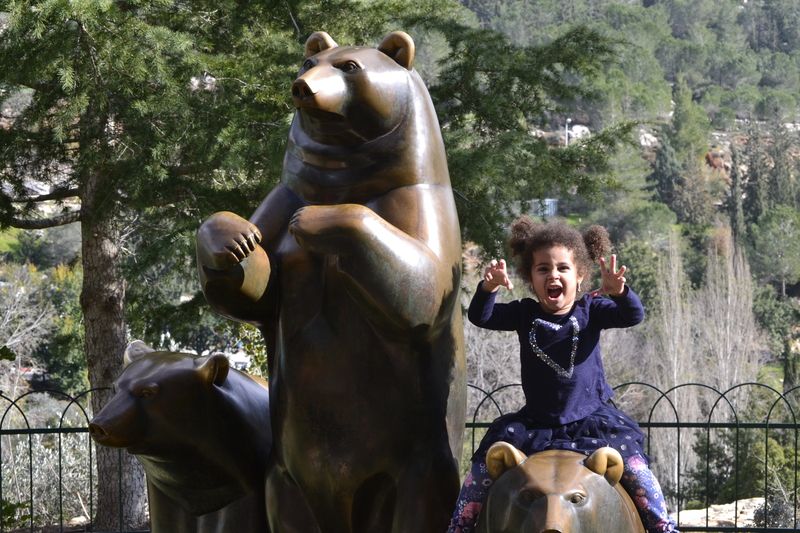 The zoo has tons of objects for kids to climb on and take pictures. 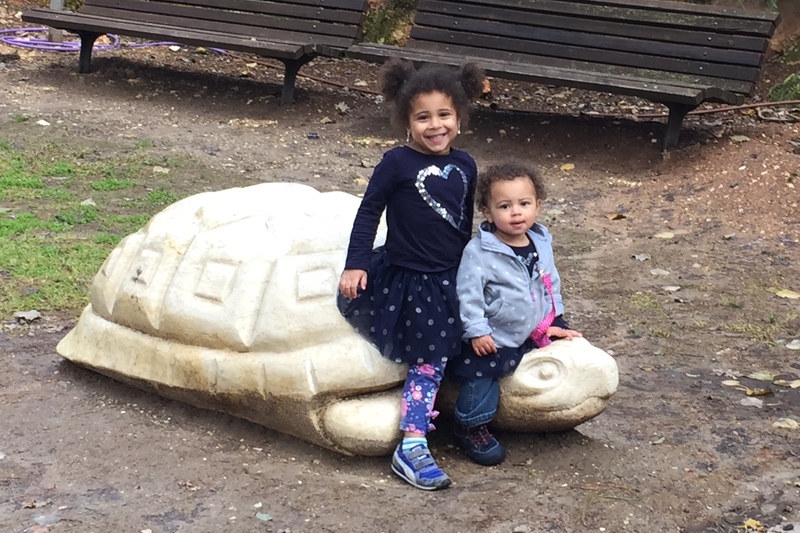 Jasmine loves that sort of thing, and because Jasmine loves climbing on the statues, Grace loves climbing on the Statues. 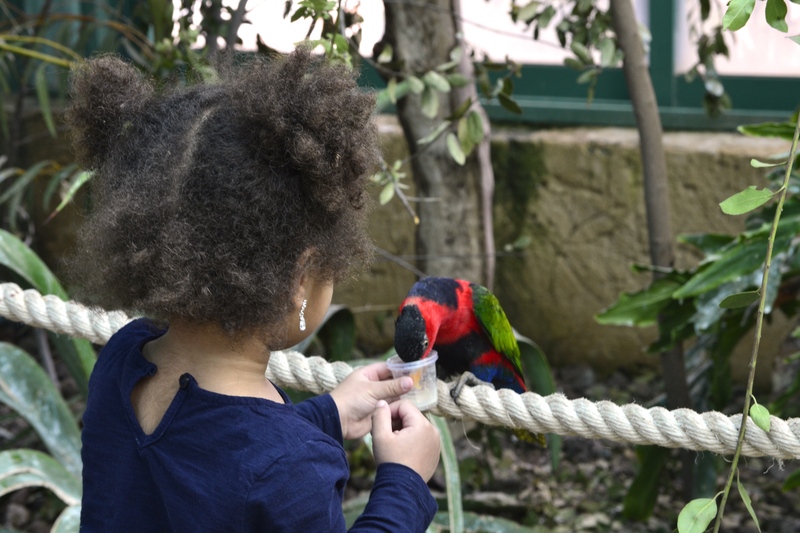 The zoo has a few other neat features, including an Aviary where kids can buy food and feed colorful tropical birds. Grace didn’t quite know what to do with herself, but Jasmine was enchanted. And of course, there’s a playground. Since we bought a year-long membership, we didn’t feel at all obligated to see everything in one day. We waited until Jasmine was a little hungry, so we could promise her a snack while she waved good-bye to her new friends. Then a quick pretzel on the way out, and we walked home.